Depends on how I feel and who I am running with. Caregiver to my husband who is an Iraq War Veteran. A few good women sprinkled with a couple men. I plan to complete a half marathon or longer in all 50 states by December 2017, which is before I turn 40. 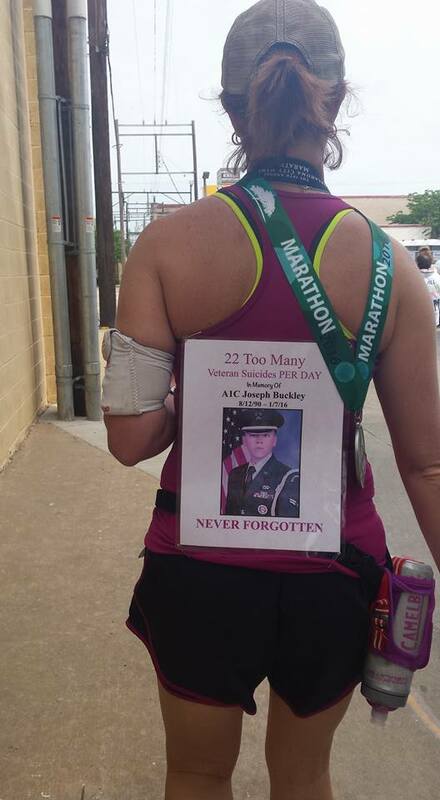 With each race I wear a picture of a veteran whose life has ended due to Post Traumatic Stress Disorder. I run to glorify God and also to bring awareness to the 22 veterans who commit suicide per day. I was running the Javelina Jundred Oct 2016. At approximately mile 75 I had it in my mind I was going to quit at the next pit stop. I had the best pacer God could have blessed me with who completely kept me nourished and motivated so much that I was already on my way to the next pit stop before I realized I had forgot to withdraw from the race! I want to be that type of pacer for others. I am excited to see others reach their goals. 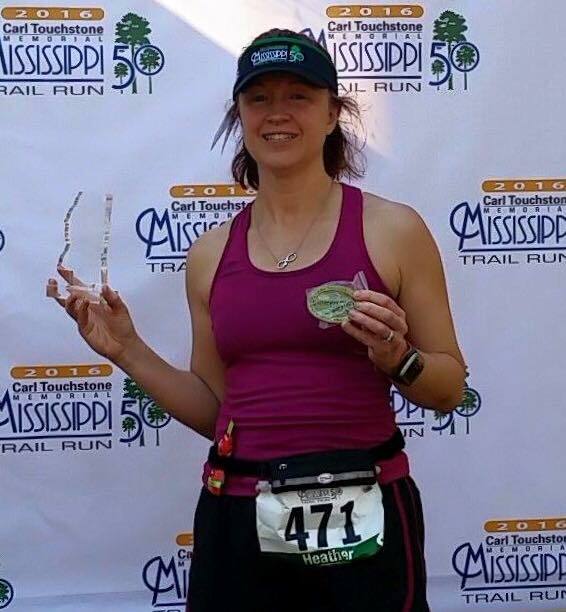 I once helped a friend meet her goal while running her first marathon. I’d like to say I am a lot of fun and able to motivate and inspire others. Stay calm. Keep putting one foot in front of the other. We will finish. Spread awareness about Veteran Suicides by running. My family volunteers at Room at the Inn which provides shelter and nutrition to homeless. We also volunteer at O.A.S.I.S food pantry once per month. Assist my husband in teaching painting classes to other veterans.